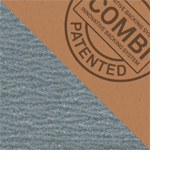 LBA is proud to present the revolutionary range of COMBI® products: a new generation of abrasive belts, based on a patented system consisting of a PET film backing, together with velcro or paper, combined with high tech abrasive minerals with self-sharpening properties and cooling additives. 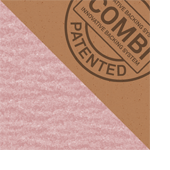 The COMBI® range is based on an innovative patented backing (Fig.1). Thanks to the PET film, combined with velcro or paper, the belt is extremely flexible and at the same time resistant to bending and tearing, able to bear strains caused by working pressure, with no deformations and without compromising sanding results. Moreover there’s no risk of breakage during the operation of insertion and removal of the belts into/from the sanding machines. Thanks to its climate stability, the belt remains perfectly flat at any level of humidity. This is a typical feature of a PET film backing that allows a homogeneous coating and a tenacious bonding of the abrasive grains. 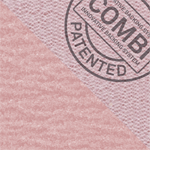 The several advantages given by the PET film backing with velcro or paper are enhanced by other fundamental components such as the high tech abrasive minerals with self-sharpening properties (Fig.2) – like Zirconium or Ceramic – that guarantee a constant coarseness from start to finish and the cooling additives that withstand clogging and prevent the risk of scorch marks, also in case of heavy duty wood processing applications. Thanks to these advanced components the COMBI® products can reach matchless performances of superior lifetime in comparison with a traditional product. In addition to all these extraordinary features, the absence of over-thickness in the joint of the belt prevents the sanding imperfections typical of a traditional belt with a paper or a film backing (Fig.3). The results of these amazing features is a homogeneous sanding pattern, with a finishing quality you’ve never seen before: you’ll sand perfectly even the most delicate surfaces, you’ll prepare steel components to chromium plating, you’ll retouch high-gloss surfaces removing varnish flaws such as trapped dust and orange peel effect. Moreover, in case of very clogging woods, you will avoid any clogging problem such as scorch marks. With 3 colors and 4 products you can manage a lot of applications from P80 to P1500. Easy to use, easy to order, easy to stock, easy to remember! Silicon Carbide abrasive minerals with cooling additives coated on PET film backing combined with paper. Available grits from P180 to P600, except P360. Zirconium and Ceramic abrasive minerals with cooling additives coated on PET film backing combined with paper. Available grits from P80 to P180. Aluminium Oxide abrasive minerals with cooling additives coated on PET film backing combined with paper. Available grits from P120 to P1200. 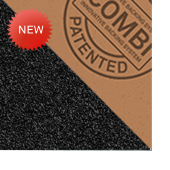 With Aluminium Oxide, cooling additives and PET film backing combined with velcro. Available grits from P320 to P1500, except P360.